A big tradition for Easter is to make deviled eggs. [BTW, does anyone else see the irony in that?] But why not try something different that really stands out? 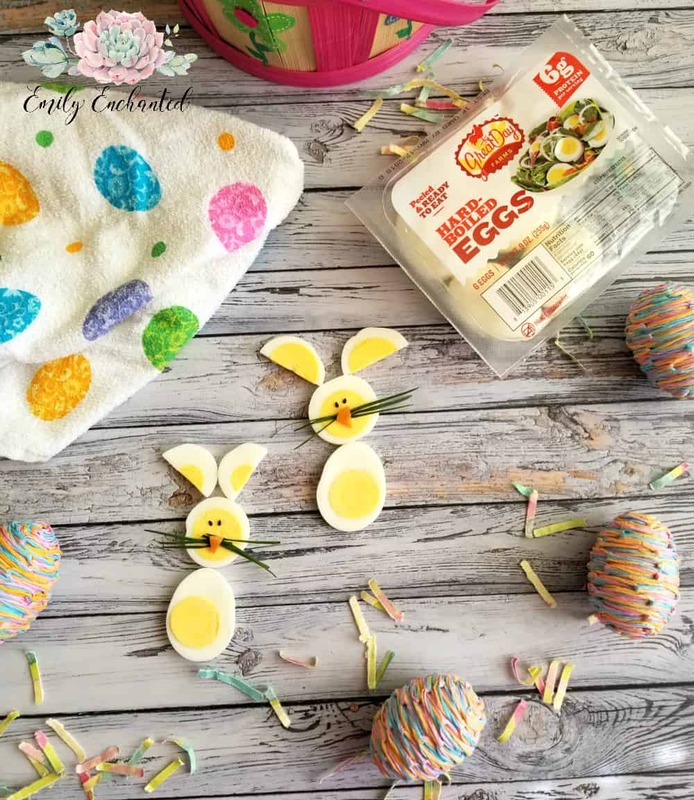 Creating a hard-boiled Easter bunny is a fun way to eat eggs on Easter. They are so cute and both children and adults will enjoy them! If you are using fresh eggs, hard boil the eggs by placing the eggs in a pot and covering with cold water about 1 inch above the top of the eggs. Bring to a full boil, turn off heat, cover and let sit 10-12 minutes. Move eggs to a bowl of ice water until cool. Peel when fully cooled. 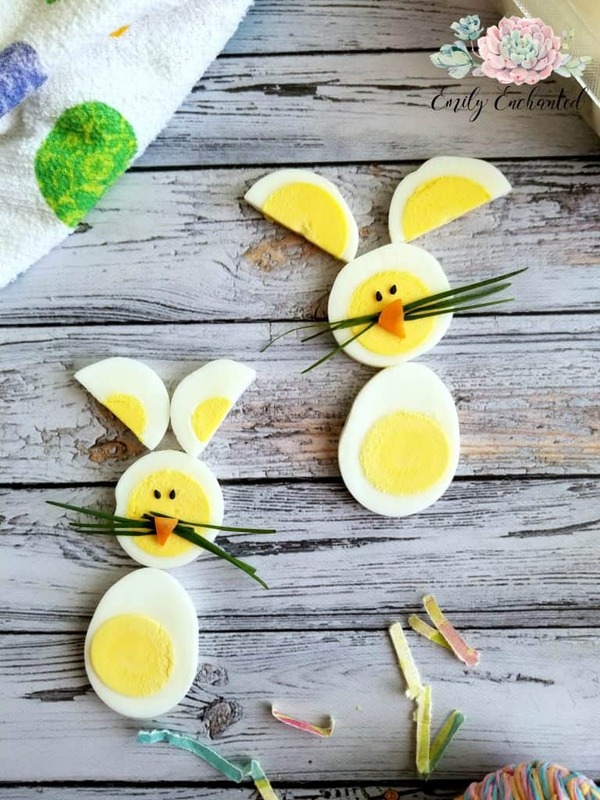 Take another hard boiled egg and cut the short way to make the Easter bunny heads. Use the leftover slices for the bunny ears by cutting in half. Cut the tips of 6 chives, about 1.25 inches in length, for the whiskers. Cut a carrot in thin slices and cut triangles for the noses. Assemble the Easter bunnies on a plate and serve! 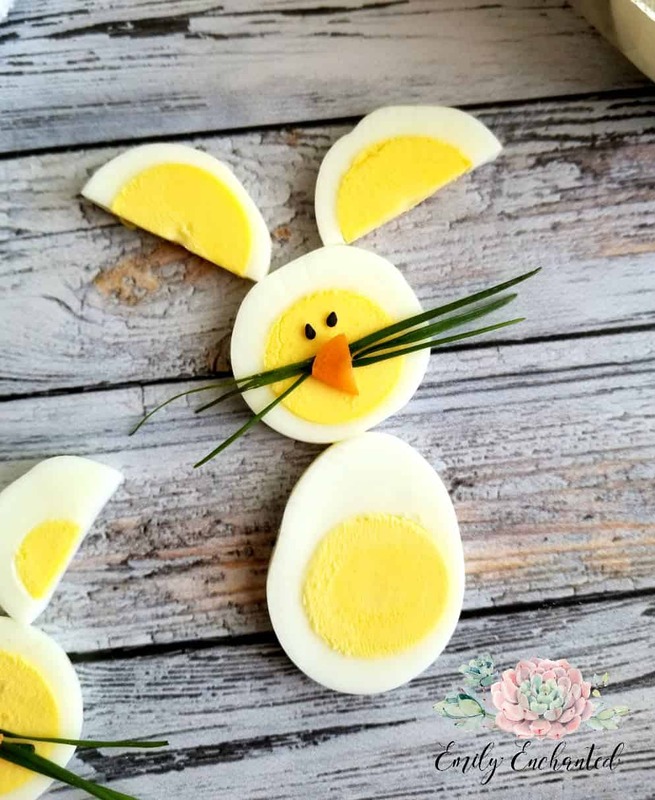 These Hard-Boiled Egg Easter Bunnies are so cute and will definitely get your kids to eat healthy. Take a hard boiled egg and cut the long way to make the "bodies" of the Easter bunnies.